Here at DV Entertainment we specialise in 18th & 21st Birthdays. Over the years we have prided ourselves in providing the perfect birthday party atmosphere for all your friends and family to enjoy, from all those classic party hits to the latest party anthems. These parties are to mark your most important birthday, so we do our best to ensure they are birthdays to remember! 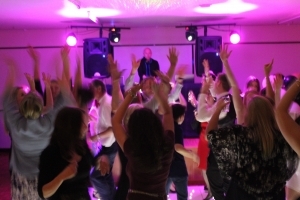 DV Entertainment also offer specialist music (if required) in addition to those party classics and latest party anthems. Our specialist music list includes: Pop, Hip/Hop & RnB, Garage, Funky House, Dance, Electro, Old School, Indie/Alternative music. For the best possible party atmosphere we highly recommend a good mix of genres to cater for all your friends and family. As usual if there are any requests you may have that would make your birthday party complete, please make sure you mention them when booking with us, just to make sure we have it in our collection, or so we can get it for your big night. When making an enquiry, the price that we quote for your birthday party is the final price – everything is included in the price, music, lights, use of microphone etc. The only added on extra cost would be if you wanted to carry on the party for longer than originally planned. We are really easy going on any announcements that you might want throughout the night, so please don’t hesitate if there is anything you would like to tell your guests. It takes us between 45 minutes and an hour to set up our equipment, and about 30 minutes to pack away, which is something to bear in mind if you have hired a hall or function suite that you must vacate by a certain time. Please feel free to look around our website and don’t hesitate to contact us with any enquires you may have through our contact us page or social media.